Βιογραφικό: «Fuzzripper's sound harkens back to classic metal and cult eighties horror. The members of this Middle Tennessee four-piece have all been at it for years, but this latest outfit came together with perfect timing-a concrete amalgam of friendships and other dissolved bands. Fuzzripper consists of Dusty Mahan on vocals and guitar, Tommy Scott on guitar, Christen Mahan on bass, and Jason Hartley on drums. A special chemistry exists between all members of the band as Dusty had played in bands previously with Jason and Christen, and he knew Tommy well as a fellow gearhead and local hotshot on guitar. Even though the official date of birth for the band was Halloween 2017, Dusty had been writing material for nine months previously in anticipation of the outfit. With various influences from the lesser known (Angel Witch, Diamond Head, Grim Reaper, Tytan) through to popular contemporary acts (The Sword, Ghost), Fuzzripper also finds inspiration in the DIY approach of composers like John Carpenter. 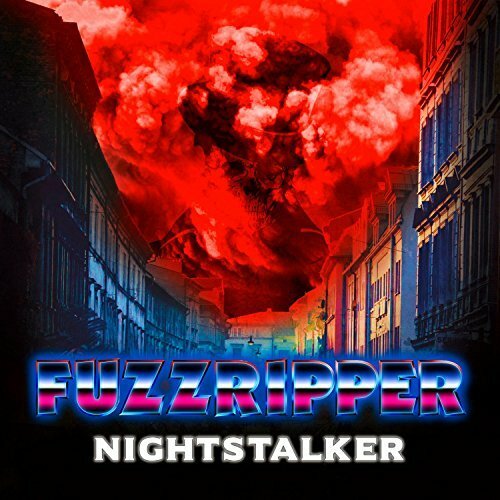 Fuzzripper's debut album "Nightstalker" is heavily thematic and borderline a concept album with each track drawing on different real-life serial killers for lyrical content. Artwork by Matthew Tyndall at Dismantle Design. Recorded at Ripper Productions. All Songs written by Fuzzripper.